T-Mobile is certainly trying to get the jump on Verizon and AT&T’s soon-to-exist LTE networks. Their strategy is clearly focused on the establishment of HSPA+ in urban areas, rather than creating “blanketed” regions of service. 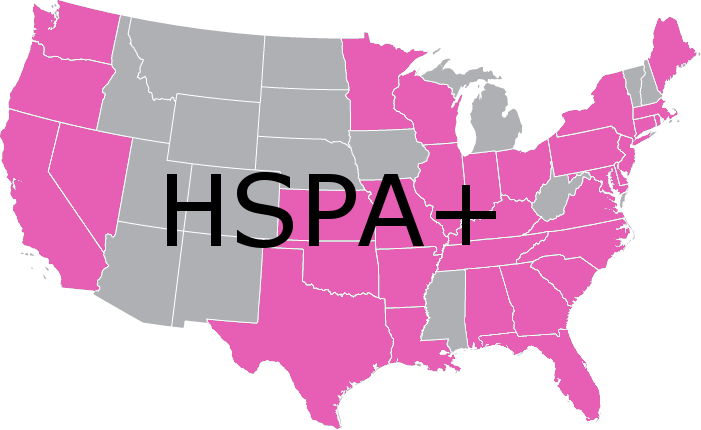 Note: This unofficial map is a dramatization showing which states have (or will soon have) cities with coverage, and does not reflect T-Mobile’s actual HSPA+ coverage in terms of area.